Safety plastic net hook for steel football goals. 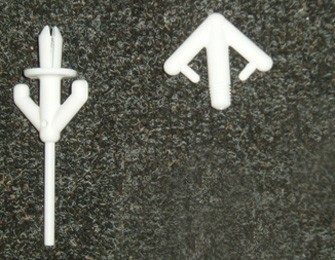 Arrow head style which is pushed into the hole in crossbar and/or uprights. Priced per hook, as different goals require different numbers of hooks.